Nearly an hour before the show, the impressive corridors of the Blanche M. Touhill Performing Arts Center buzzed with eager concert-goers. The crowd was mixed with young and old alike, all elegantly dressed and anticipating an enjoyable evening of music and culture. The “Three Mo’ Tenors” certainly did not disappoint. The trio, which was conceived by Marion J. Caffey, wowed the audience with their vocal acrobatics. From jazz, to blues, and to gospel, there was nothing these tenors could not grasp. The 2004-2005 season at the PAC opened with a bang. Friday night’s “Three Mo’ Tenors” concert started the season with grace and style. The lights in the Anheuser Busch Theater dimmed as Tom Sudholt, host of “Saturday Afternoon at the Opera” on KFUO Classic 99, took the stage to welcome the crowd and announce the world-renowned trio. The three tenors, Ramone Diggs, Kenneth Gayle and Marvin Scott, were handsomely dressed as they took the stage and launched into the first act of their performance, which included classic arias such as “La Donna E Mobile” from Guiseppe Verdi’s Rigoletto and “Le Reve” from Massenet’s Manon. The theme of the evening was set with the performance of “Make Them Hear You,” by L. Ahrens and S. Flaherty’s Ragtime. With the profound lyrics, “Go out and tell our story. Let it echo far and wide,” the tenors had the audience in their grasp. The crowd visibly enjoyed the trio’s rendition of “Let the Good Times Roll.” The tenors interacted well on stage with one another and with the audience as well. Their dynamic chemistry was evident as audience members bobbed their heads, clapped and even sang along with the S. Thread and F. Moore tune from Five Guys Named Moe. “Hid-e Hid-e Hid-e Ho,” the crowd sang in response to Scott’s musical call. Call and response is a key element in African music, which was transported from Africa to America with the institution of slavery. Aspects of African music continue to permeate popular American and African-American musical forms today. This number received the loudest applause of the evening and brought the first act to an exciting close. After a brief intermission, the trio took the stage once more, wowing the audience with their vocal acrobatics and smooth dance steps. Each tenor then took the stage to showcase his unique talents in a solo. Ramone Diggs sang “I Believe in You and Me,” which became popular after singer Whitney Houston performed it in the movie “The Preacher’s Wife” and on the soundtrack of the same name. Diggs was a crowd favorite. The audience cheered and clapped throughout his heartfelt performance in which he demonstrated amazing control over his wide and impressive vocal range. The evening showcased the best of American, European and African American musical styles. From delicate arias to gut-wrenching blues, the trio tackled almost every style of popular and classical music without missing a beat. Because of the present social and political climate, the tenors sang “America the Beautiful” and dedicated it to “all the soldiers who have kept and continue to keep our country safe,” Scott said. They even paid homage to the late Ray Charles, who recorded one of the most famous versions of the song, between verses of the American classic. A medley of contemporary gospel songs followed and the crowd responded with a standing ovation. 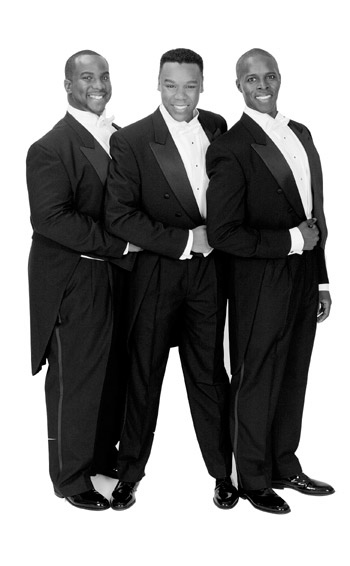 “Three Mo’ Tenors” put on an impressive show bridging classic and contemporary hits. They gave a commanding performance and we certainly heard them. 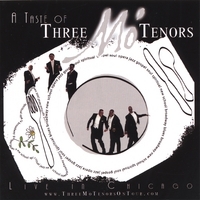 The “Three Mo’ Tenors” was directed and choreographed by Marion J. Caffey. The orchestra is directed by acclaimed musical director Victor Simonson. For more information about the trio and future tour dates visit www.threemotenors.com.